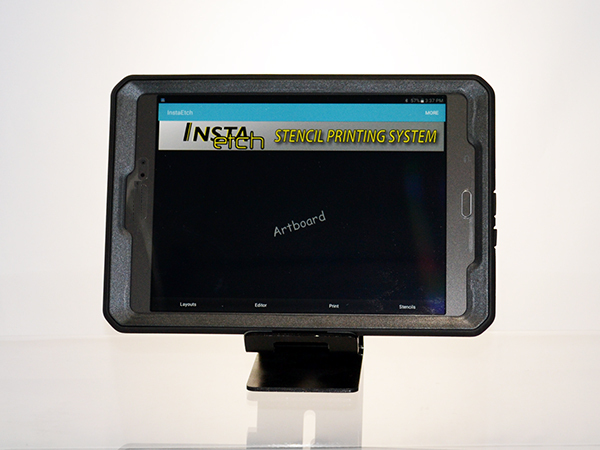 8" ANDROID "Insta Etched" tablet - $198 use as stencil designer, barcode scanner, integrated bluetooth wireless printing to our compatible printers. 8.0” HD display with Corning Gorilla Glass & ip65 dust and waterproofing. 5MP Autofocus Camera for Barcode Scanning.